Matt is a man with many miles in his golf tank. A true custodian of the game, his early developmental years were spent in that hotbed of golf talent, Dubbo. 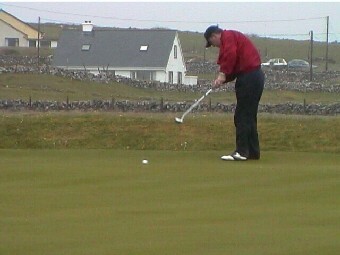 He has travelled far and wide in search of a round of golf and is quick to provide comparison between various courses. Matt is an asset to any captain on the golf course, consistently making the opposition earn their points off him. He has also shown restraint in the bar and at this stage has not been seduced by any of the local ladies. Watching Matt's swing keeps his opponents on their toes as they wonder when will he will start his down swing (Charlie can swing the club 13 times durning one of Matts swings). A tough competitor whose record does not do his play justice.